With our in-depth knowledge and experience, we are engaged in offering a superior range of Wagon GeoMax Products, that includes GeoMax Zoom20 Series Total Station. These are developed and designed using top-notch grade raw material and advanced technology at vendors end, in adherence to certified industrial norms. In order to render the range, flawless, these devices are tested under strict control of experienced professionals on several parameters. Apart from this, we deliver the defect free range to our prestigious clients. Due to easy maintenance, rigid construction and accuracy, these devices are highly acknowledged among our clients. 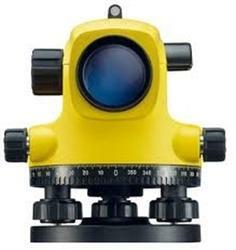 Looking for GeoMax Make Survey Instruments ?